It contains Starting and Ending Tag . Today, we are going to create a XML Parser in Android using java language . This tutorial is 100% working tutorial and it will work smoothly i have include the required xml already in the variable . XML Parsing is very cool thing . We need to parse the xml in various situations . Like i am going to why i have used it . 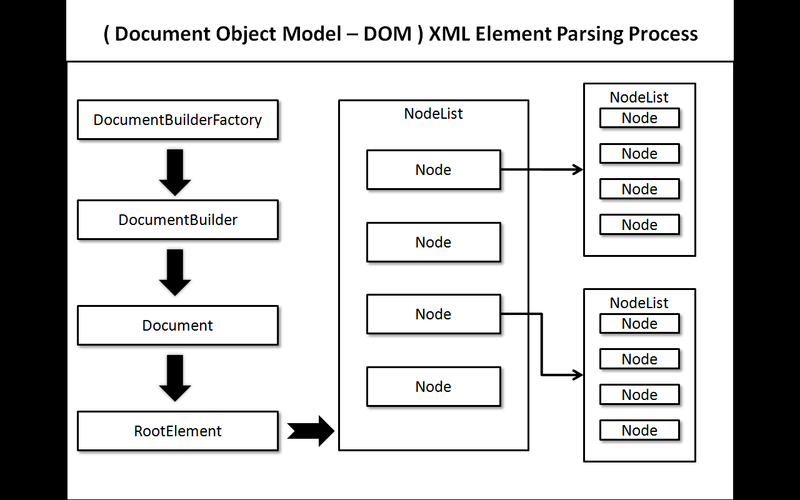 Xml parsing is used in situations when the data is going to be retrieved form web service . When we are using or quering the database or when we are dealing with Web Service like .asmx or WCF then the data returned by these webservices are in XML format so in order to view this data result to user we need to parse that xml according to our needs means which element or which node data we want to show and by using this code we can retrieve the required data and we can show it in view or layout of android to user . // Handle action bar item clicks here. The action bar will // automatically handle clicks on the Home/Up button, so long // as you specify a parent activity in AndroidManifest.xml. Mono came as a Revolution in the IT Market for CSharp Application Development . Csharp was introduced by Microsoft and it was mainly used in Visual Studio IDE by Microsoft . As Csharp all came with .Net Framework and .Net Framework . So nothing works Cross-Platform neither in linux nor in OSx . So Then Came the Another remarkable solution to this problem That called "MONO" . Mono introduced with several thing that can be used with .net framework . One of these was Mono Android Tools . These Tools allows the Csharp Developers to develop Android Applications using Csharp Code . They can choose Any IDE Either it could be Microsoft Visual Studio or Monodevelop . This has Increased the popularity of .NET Technology in the Market and It asked the Developers to think more n more about .NET Technology As With Mono .Net Technology Can Be used in Any Platform Availailble It can be used in Microsoft Windows , Linux operating Systems like -Ubuntu and also it can be used in OSx . And it can also be used in Mobile Applications Development like for Developing Android Applications , Windows Phone Applications and IOS Applications . 5. Place , Configure SDK and Create AVD ( emulator ) . Java Development Kit contains set of tools that allows to run the java Development tools on the particular platform with jdk we cannot do java development and Android development on that particular machine . 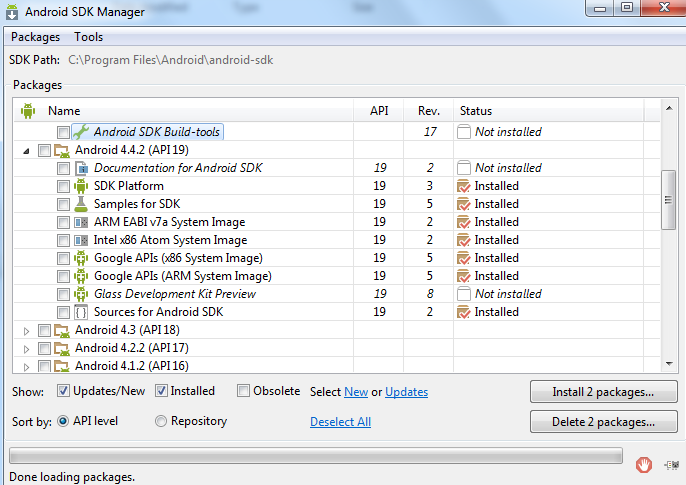 For Installation of Java SDK we must ensure that java Jdk is installed properly else Android SDK Will not install . Step 5 :- Place , Configure SDK and Create AVD ( emulator ) . 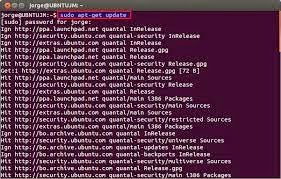 So I have installed Android 4.4 ( API 19 ) or you can also install Android 4.0 ( API 14 ) To install it just click on Check box at begin of it and then click on Install packages verify all other checkbox except these are unchecked . 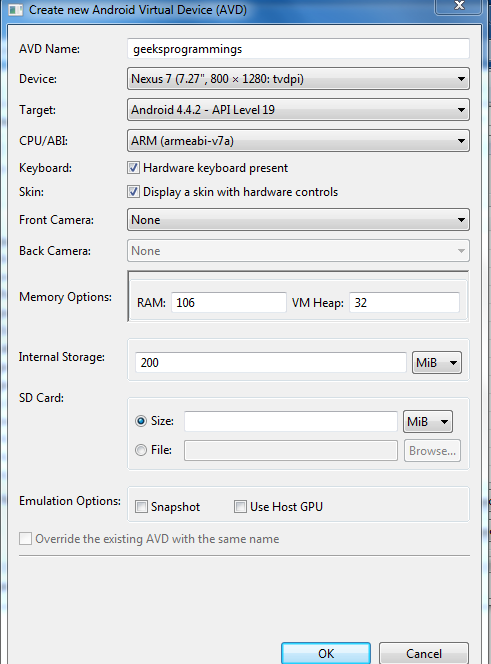 Then after creating AVD select that AVD and click start button Then you can see AVD emulator that will appear on screen . In Visual Studio We just need to configure one thing that is we have to configure proper path for android SDK Here is simple steps to configure or write proper sdk path . It also provides code templates and code folding. 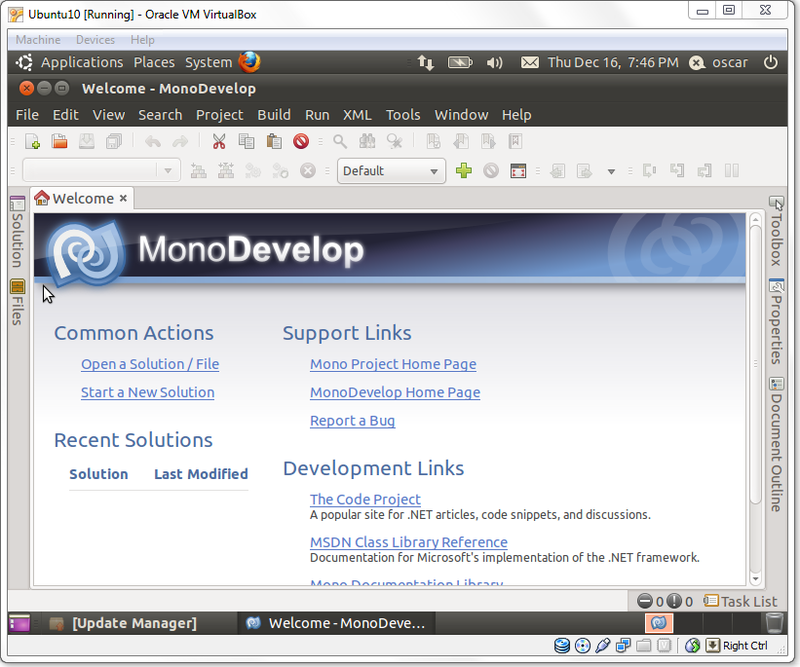 So, when you are going to start installation of monodevelop on ubuntu , i am trying it on ubuntu version 12.04 one thing you want to remember is you can install monodevelop on ubuntu with various methods it includes various packages and you should never install them one by one you should also go for a complete package for installation of monodevelop on ubuntu . CLOUD - So first thing we need to know here is what is a Cloud ? and how it is useful to us to use Cloud. Cloud is long network of interconnected computers that allow the avaliability of data over internet all the time .Cloud help to make our data secure and allow the user to run its application on cloud with full scalability and availaibility . We say it provides avalaibility of 100% because Cloud follows the approach of Replication of data to the other nodes to make ensuring the full availaibility of data even when the server that is actually assumed to have data or application is not availaible . AppHarbor is a fully hosted .NET Platform as a Service. AppHarbor can deploy and scale any standard .NET application to the cloud. AppHarbor is easy and simple to use . It provides number of additional addons for database and other applications to add it to your application. Here I am going to tell all the procedure to create and deploy asp.net application to appharbor cloud service. Click on Get started Button . Then do simple signup procedure .Then Login to your AppHarbor Account. Now click on Add Ons on sidebar Menu Then Scroll down and find Sql Server and Click on it. Now Visual Studio will Present you with practice project already having some coded files . git commit -m "Added Project To Git:"